FRESH 12 pack 12oz cans of the rarest of the rare Delaware Punch!!! Oh so good and caffeine free too!!! 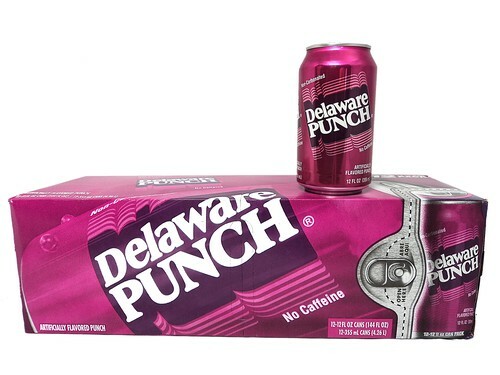 Soda Emporium is YOUR source to buy Delaware Punch online! on 6/1/2015 Better than I remember - I love Delaware Punch! The drink is a sweet grape flavor - unique! - and loved by everyone I know who grew up in the south! I can wait to get some more!